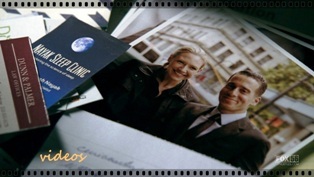 Fan Forum > TV Shows - Past > Fringe > Charlie / Olivia #6 - Because in some other time line they are still solving crimes together. Charlie / Olivia #6 - Because in some other time line they are still solving crimes together. Charlie Francis and Olivia Dunham were close friends and confidant that worked for the FBI until Charlie was killed by a shapeshifter from the other universe. on cases that required more than common acceptance and understanding. They completely trusted each other in all matters professional and personal, and Charlie’s death was a deeply sad and emotional moment for Olivia. In the Alternate Universe, Charlie and Olivia are also partners who work for the Fringe Division, and share a meaningful and cheerful friendship. 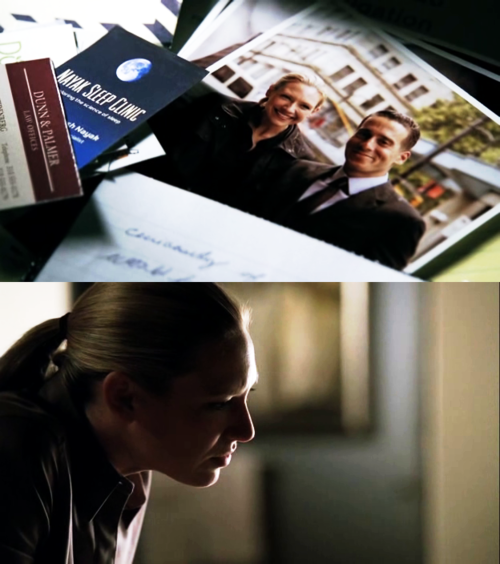 OLIVIA: My first week on the job, I was on a sting operation. These Irish thugs were smuggling guns and, and cocaine. And I had been a military prosecutor, so I hadn’t handled a gun since basic training. And suddenly, I’m underground in this garage, wearing a bulletproof vest and wondering how the hell I got there. So, I did what any rookie would do and I started looking for an exit. And then Charlie walks over. 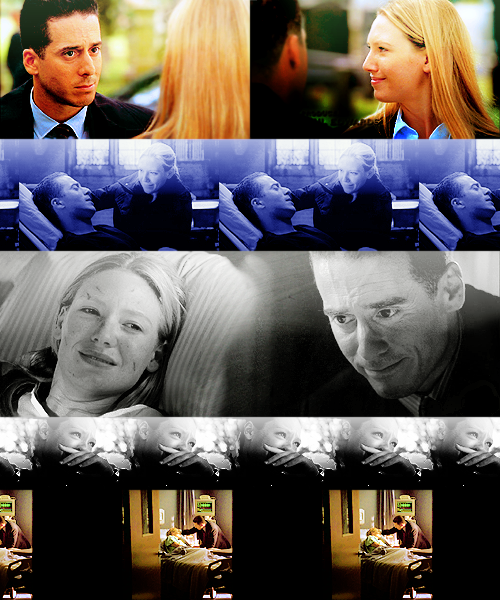 And, I have to face it…that he…that he’s gone. And that he’s not coming back. Charlie and Olivia - "You're gonna be fine"
CHARLIE: Hey. You can fool the doctors, kiddo. You can't fool me. OLIVIA: I don't know what happened to me. I'm so scared. CHARLIE: Hey. You're gonna be alright. It'll be alright. OLIVIA: He used me, Charlie. And he told me he loved me. CHARLIE: I wasn't gonna tell you this… but he said he loved me too. CHARLIE: Don't get hurt for me. OLIVIA: Well, that's not really very fair considering you would do the same thing for me. I'll be back soon... promise. CHARLIE: Let me see. You fall in love with your partner... Who betrays you... And your country? if that's grounds to rescue yourself. OLIVIA: Yeah, okay, well, we can start with that. CHARLIE: I say no. You’re the one that exposed him. Bare minimum, That makes you indispensable. CHARLIE: So am I. You think a few weeks pass And everything you went through just goes away? Don't fight it. Don't beat yourself up. You know, You're good at that. That's a character flaw. It'll get easier. CHARLIE: Hey, Liv. I get it. CHARLIE: Young woman, what was done to her. You know, this coming your way… today of all days. OLIVIA: (rings the doorbell) It’s okay. I’m okay. CHARLIE: Listen, I know you don’t like to celebrate, but happy birthday. 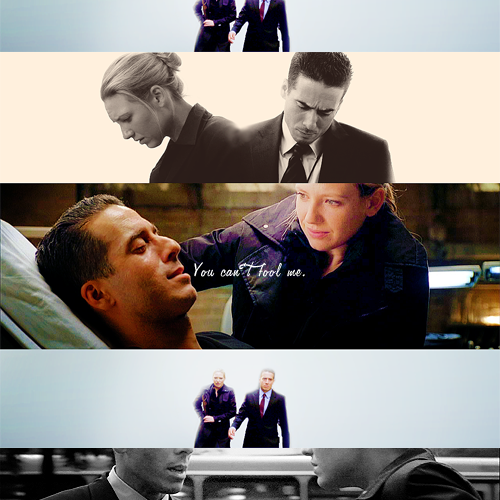 Charlie / Olivia #2 - "I have to face it, he's gone and he's not coming back." Charlie / Olivia #3 - Because in every universe, they are each other's best friend. Charlie / Olivia #4 - "You can't fool me, kiddo." 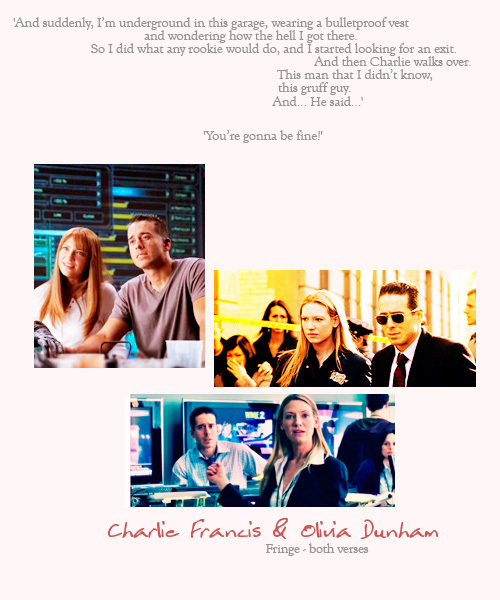 Charlie / Olivia #5 - Because There's Nothing They Wouldn't Do For Each Other. Thanks for the new thread. I just watched the pilot again and Charlie's enquiry about the cow in the lab. They had some cool moments together ! Season 2 Charlie wasn't quite himself. 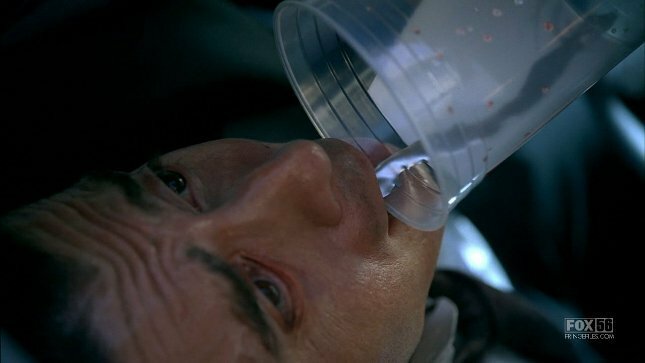 I think I would have preferred the Slusho that was originally in the cup - or even one of Walter's concoctions.